Earlier today, Windows Phone SDK 8.0 was announced at Build! The SDK includes development support for Windows Phone 8, support for C++ games and apps, an updated emulator for Windows Phone 8, Windows Phone support for Visual Studio 2012 (both 7 and 8), and is easier to port apps between Windows 8 and Windows Phone 8. Developers who don’t have Visual Studio can use the Visual Studio 2012 Express for Windows Phone to create their apps. If a developer has Visual Studio 2012 Professional, Premium, or Ultimate; it will add the Windows Phone development projects to their IDE. Windows Phone 8 is out, the tools are available, and devices are about to be released—it’s time to get coding. As an added incentive, for the next 8 days individual developers can register for a Dev Center account for just $8 (a 92 percent savings). Please note because this is a very limited time offer. You’ll be charged $99 USD or equivalent in your local currency, and we’ll refund the difference in the next 30 to 45 days. Watch for more details on Dev Center soon. 1. New Windows Phone developers can bring their existing skills to start creating apps right away. Use XAML/.NET to write apps or DirectX/C++ to create games for Windows Phone. 2. Tie Windows Phone apps with web services to create outstanding experiences with Visual Studio Professional or higher with the Windows Phone add-in. 3. Reduce development time for multi-platform games by using C++. 4. Port existing OpenGL games to DirectX to take advantage of existing game libraries and logic with minimal alterations. 6. Fine tune your users’ experiences by taking advantage of Blend for Visual Studio 2012. 7. Simulate the real world when testing your apps and games with the Windows Phone Emulator. 8. Find CPU and memory issues faster with the Profiler. 9. Minimize app certification time by using the pre-test for Windows Phone Store technical certification with Test Kit. 10. Develop apps using Visual Studio 2012, one of the most productive integrated development environments (IDE) for turning ideas into software. 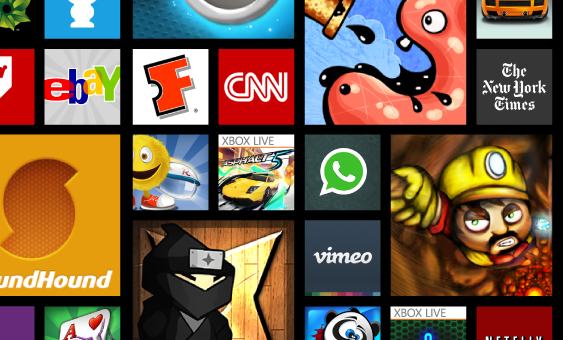 I’m super excited about Windows Phone 8 to be out and I can’t wait to see the great apps targeting all the new feature. If you have any questions, let me know!